In 2015 Fast Books Press posthumously published Ronald Tavel's account of working with Andy Warhol as Warhol's screenwriter with the title Andy Warhol's Ridiculous Screenplays. At the time of his death Tavel was working on a new play, Cheap Jewellery: A Fruit Basket for Jack Smith, for the festival in Berlin. After his death, his play The Life of Juanita Castro, was performed at the festival as a tribute to him. Mario Montez came out of retirement to perform in the play in honour of Ron. Ronald Tavel's website is here. Dennis Cooper, who had the same literary agent as Ron has mentioned his death on his blog page here. Donald Brooks has mentioned Ron on his blog page here. Article about the Gob Squad's 2008 London production of Kitchen - based on the script that Tavel wrote for Warhol - can be found in Time Out (London) here. The blurb from the Moderna Museet's "Andy Warhol: Other Voices Other Rooms" exhibition which includes Tavel's credits for some of the Warhol films can be found here. Descriptions in the Guardian of some of the films that Tavel scripted for Warhol when they were screened as part of the Warhol retrospective at the Tate Modern in 2002, including Horse ("Concocted by Warhol's brilliant writer Ronald Tavel"), Screen Test No. 2 ("an uninhibited, sadistic Tavel") and Space can be found here. A New York Times review of the 1986 production of Ronald Tavel's Notorious Harik Will Kill the Pope can be found here. A New York Times review of the 1985 production of Tavel's My Foetus Lived on Amboy Street can be found here. A New York Times review of the 1983 production of Tavel's Success and Succession, can be found here. An excerpt from Tavel's previous book, Street of Stairs, can be found here. 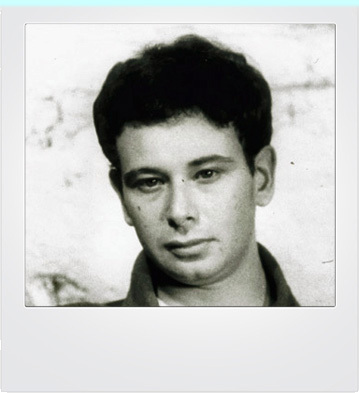 Photos of Ronald Tavel from his Warhol days, taken by Billy Name, can be found here. 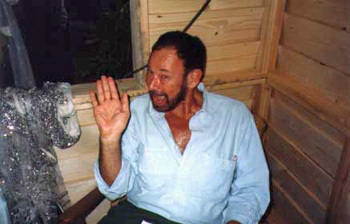 Photos of Ronald Tavel in Germany in 2001 on Vaginal Davis' website can be found here. (Scroll down). 5 November 2015: You are so missed.